Using tool outline foam in your toolbox or tool drawers can help you better organize your tools for increased productivity. Foam Tool Kits come with two pieces of durable, closed-cell foam in two high-contrasting colors so you quickly notice when tools are missing. To use a kit, just cut your tool shapes into the top primary layer (1/2" thick) and then add the high-contrast colored foam backing (1/4" thick). Insert both layers in the drawer of your tool box or chest and put your tools in place. An 18"x36" kit works well for many toolboxes and drawers. 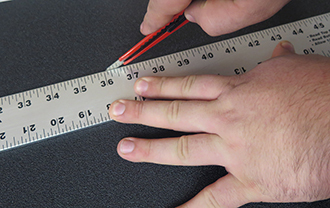 To use it, measure your drawers and cut the foam to the size you need. 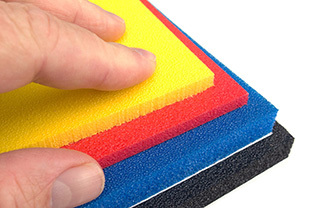 Foam Tool Kits are made from cross-link, closed-cell foam that can withstand continual use. At Creative Safety Supply, we guarantee the quality of our products. If youí´re unsatisfied with your purchase, you can return new, unopened items within 30 days of purchase for a full refund. That way you can feel confident the products you order will meet your expectations, or you'll get your money back. This is a great product for helping me keep track of all my tools. It also helps me to know when someone takes a tool.